We all have them. Cell phones have grown to become an extension of our lives. When’s the last time you left the house without your cell phone? Chances are it was an accident. It is no secret that we use our cell phones way too much. We have become too dependent on these devices and their capabilities. I’m not trying to scare you, but do you know how easy it is to tap one of these phones? That is to say, if someone wanted to, they could listen in on your conversations, read your messages, and yes, even monitor your location through GPS. Privacy is a growing concern with today’s technology, especially with how we communicate. Tapping someone’s phone without their permission is illegal but it still happens anyway, usually without the owner’s knowledge. It’s not likely to happen to you, but in case you have your suspicions, here are some simple tips you can follow to tell if your cell phone is being tapped. There are a lot of reasons someone might want to listen in on your phone calls. Whether it’s a nosy boss, an angry spouse, a thief, or just some prankster, your privacy can be invaded through your cell phone. If your phone is tapped, it would even be possible for someone to listen to your conversations through your phone, even if you’re not on it. This list is a few simple ways to check for a possible cell phone tap. These aren’t fool-proof by any means, so you should always be careful while using your phone. I will also list some steps you can follow to maintain your privacy. One indicator of a possible phone tap is the temperature of your battery. Feel your cell phone if you haven’t used it for a while. If it feels warm, this means your phone could be still in use, even if you are not on a call. Please note however that heat may be from overuse. Your battery being hot is only a potential sign if your phone has been powered down for a while. Having to charge your cell phone more often than normal is another potential sign. If you haven’t used it any more than usual, your phone could be in use when you aren’t using it. When a cell phone is tapped it loses its battery life faster. A tapped cell phone is constantly recording conversations in the room, even when the phone appears to be idle. You can use an app like BatteryLife LX or Battery LED (iPhone) to monitor your phone’s battery life and history over time. When shutting down your phone, if you face issues such as a delay, the back light remaining lit for a time after being shut down, or refusal to shut off, your phone could be tapped. Always be aware of inexplicable activity on your phone. Since phones are made up of hardware and software, however, this could also be caused due to a glitch in the system or some kind of internal problem as well. While turned on, does your phone ever light up, shut down, power up, or install a program on its own? Strange activity such as this could also be a sign of someone else controlling your device. Note that this can also happen due to interference during the transmission of data. When on a call, a tapped phone will often include background noises. Usually in the form of echoes, static, or clicking, these sounds can either be caused by interference, a bad connection, or someone else listening in. If you ever hear a pulsating static noise coming from your phone when you are not using it, however, you may have a problem. If you are using your cell phone in close proximity to other electronic devices, like a television, and the other devices become distorted, this could be a sign that additional hardware is installed in the cell phone. A lot of times this distortion is normal, but if it is happening while you’re not on a call it could be something to watch for. If you suspect your phone conversations are being recorded or tapped by someone you know, you can engage in disinformation to confirm this. Tell someone you trust some “personal” information about yourself on your cell phone. If you find out later that others know the information then you know someone may have been listening. 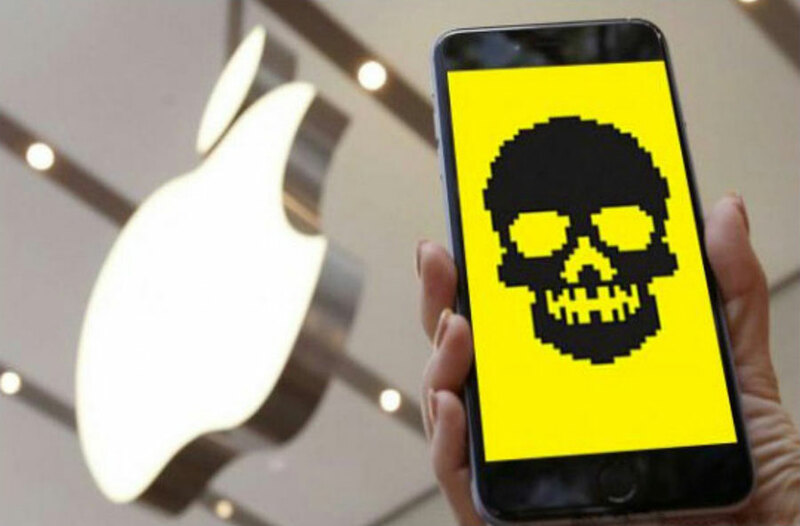 At Certo Software we have developed an easy to use tool that can scan iPhone and iPad for spyware in a just a few minutes. Watch the video below to see how the software works and click here to find out more.